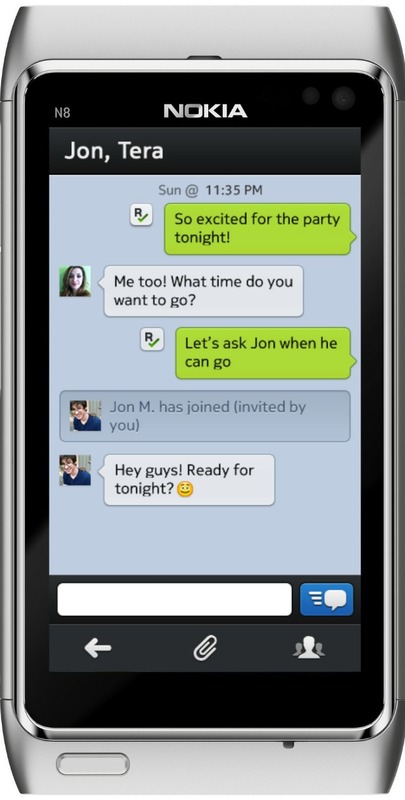 Exclusive – Kik is today launching new Symbian and Windows Phone apps at the Nokia World event in London. The nifty cross-platform messaging app is making its debut on Symbian, albeit in private beta, and the Windows Phone 7 has been updated and redesigned specifically for version 7.5 (Mango). The fledgling company behind the Kik Messenger application, which is also available for iOS, Android and BlackBerry, will thus in one fell swoop expand its availability to essentially all five major mobile platforms used throughout the world. The Symbian app, in particular, aims to expand Kik’s reach in emerging markets and regions where the platform is still popular. Currently in private beta, the Symbian app boasts support for sent, delivered and read notifications, group chat with any kik user across all supported platform, and photo sharing. Version 2.0 of the Windows Phone app, meanwhile, takes advantage of Mango’s new features by adding fast app switching, list scrolling, address book contact matching and other improvements.